We humans have the advantage of knowing a greater swath of nature’s inherent proposition; that our position as a continuing entity is frail and precarious and that we must either tend to the blended duties that service our remaining coherent over time, or we cease to remain coherent. As we push the envelope on drawing this map of understanding the relationship economy we depend on, we also unlock the corresponding opportunities that come from it. We do so by way of sharing our discoveries of the relational economy that defines our experience of life with each other. It becomes the catalyst for our ability to move more intentionally in a nourishing direction toward our full potential. Like the many droplets of rain that can ultimately collect into a massive lake, each small discovery, and the sharing of it, contributes to our strengthening potential to more effectively steer what we experience. Without this wealth, we are prone to be carried by the whims of circumstance, rather than be able to steer toward intentional places. Among the recent discoveries we are beginning to map with more clarity – and that has shown much promise in giving us the ability to effective steer these relational waters we exist in – is the increasing awareness that individual organisms are inseparably networked to many other biological and physical entities in an interdependent relationship economy, and that nourishing or disrupting this relationship economy has a powerful defining influence on the experience of life of the participants in that biological economy. Our microbiome (the many organisms that live in and on us) is one of the the first tiers of influence in that wider biological relationship economy that we are mutually dependent on. 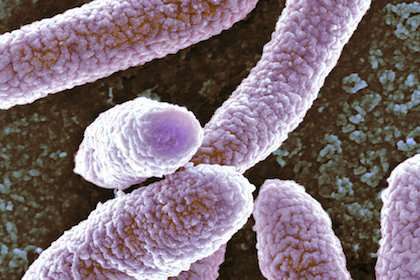 These microbial creatures we share the ride with in our local biological economy are a prime example of the extended interdependency that defines our experience of life. (and theirs) Our individual potential for a vibrant and dynamic life, or an impoverished one, is directly tied to how we negotiate the biological and physical economy we are baptized in. Here is an example of one of the potential ways we can now steer our experience more intentionally because of the exploration, discovery, and sharing of these finds with each other. What would have once been a situation we had to negotiate with little more than hope and complaint can now be intentionally influenced. It is sometimes thought that evolution by way of natural selection happens due to happenstance mutations in genes that happen to offer some adaptive advantage, and are therefore more likely to be passed on to the next generation, thus preserving them through the generations. While this passive collection of traits is part of the evolutionary change process, natural selection is a much larger umbrella of influences, both passive and active, that have the capacity to shape the traits that contribute to an organism’s or ecosystem’s adaptive profile. The various behaviors and structures that ultimately remain coherent within an organism or ecosystem over time are those that enable the local biological field to negotiate the dynamic demands of the environment that they are continuously baptized in while also satisfying the structural hungers that must also be attended to in order to remain coherent. The relational environment contains both nourishing and antagonistic agents and is composed of both organic and inorganic influences that must be dynamically negotiated. This is no small task. Biology is not just a relationship between organism and environment, it is also a relationship between and among organisms. It is also not solely a passive capture of traits by way of happenstance alone. Once an adaptive trait is “discovered” and embodied by various means, biology also develops various active means to pass the trait along. Biology also arguably searches out these traits and passing them along as well. Our human trait of being explorers in search of opportunity might be one of the ways this active search is facilitated. One illustration of this non genetic kind of trait is the way an animal can develop what are called “Fixed Action Patterns. A squirrel does not have to be told how to store nuts to negotiate the winter. That behavioral repertoire is embodied within the species and passed along through the generations. It was captured and stored at some level which may involve genes, but probably also entails other factors such as epigenetics as well. Another important distinction to remember in order to see the larger landscape of biological evolution is that evolution is not a process that happens in the context of a species alone. 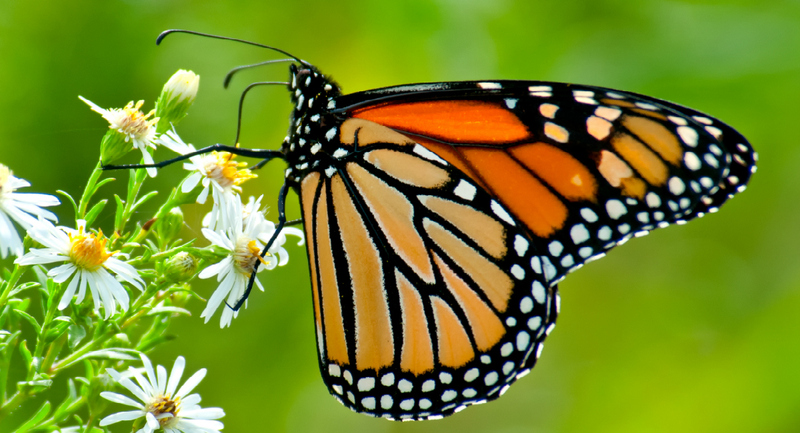 Ecosystems also evolve as a whole body of life and there is a dynamic connection between the organisms within a species in that context. This relationship between organisms also means that organisms convey adaptive traits one to another through various means, both by way of the meaningful structured transmission of information and by way of happenstantial relational communications that confer adaptive traits. These information sources get captured at an organism or ecosystem level and actively spread the same way that the environmental trigger of a mutation in a sperm or egg that confers an advantage is more likely to get passed on. Organisms exist in the context of many other organisms and this relational environment between organisms adds to the influential factors that shape the evolutionary process as a whole. It is this crucible that includes the deliberate transmission of traits as well as the acquisition of accidental occurrences that leads to the acquisition of adaptive traits that collectively drive the evolutionary process – this process that builds a hedge of coherency against the chaotic forces that would otherwise consume and disintegrate the body of relationships we call an organism, or ecosystem. There are a number of ways that biological systems communicate adaptive traits one to another. This communication process that enables the passing along of adaptive traits can take the form of cooperative behaviors for instance. When we think about the wealth of adaptive capacities within our species we must consider the debt of gratitude we owe to our ability to share and cooperate. Not one of the words that are being used to communicate this idea for instance, would be understood if it were not for their structure and meaning having been shared with us at some point in time. This cooperative sharing platform has enabled humans to form our civilization. Words are not the only way traits are transmitted between organisms. Our ability to capture and accumulate knowledge in a verbal net and transmit that knowledge one to another is synonymous with the way nature passes along of meaningful structural traits such as DNA and epigenetic information as well. Among these meaningful structural traits are sounds and behaviors such as postures or ritual sequences of behavior that convey meaning, as well as the passing of influential structures that serve as information one to another. This meaningful structural type of communication can take the form of molecules that we produce and perceive as scents, some of which, like hormones can meaningfully trigger massive behavioral shifts within and between organisms that serve various purposes like reproduction, establishment of adaptive hierarchies of social status, or the avoidance of danger etc. Still other forms of structural communication include the transmission of genetic information within and between organisms. This can happen by way of sexual reproduction, but in some cases can also occur through such methods as viruses, which can stitch genetic segments into already established DNA strands that can subsequently alter the organism in significant ways, some of which offer adaptive advantage. The measure of a life well lived is arguably one that was at least aimed at rendering something constructive in the wake of the numerous sacrifices that the larger community of life has had to make for us to have lived at all. This delivery of something more than what is taken from the community that we collectively depend on to nourish us is the very essence of “bearing fruit”. 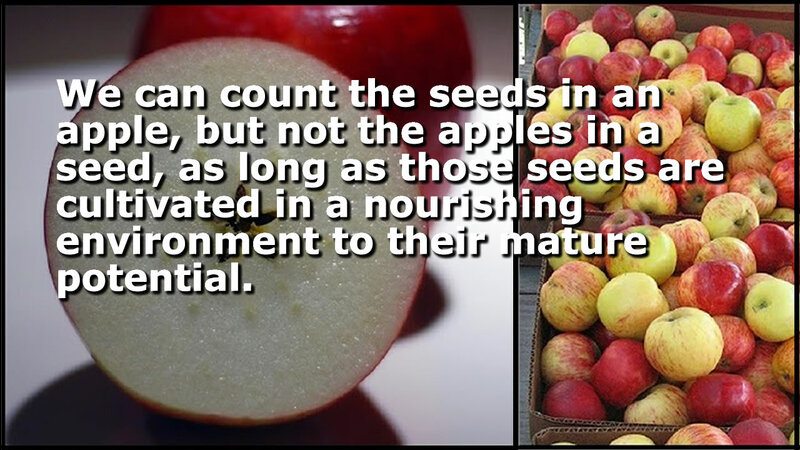 This lesson is well crafted and clearly communicated through the structure of nature in so many ways – that we can count the seeds in an apple, but not the apples in a seed, as long as those seeds are cultivated in a nourishing environment to their mature potential. Fruit, in many forms, including social, can pay endless dividends that are greater than the sacrificial investment that must be made to bring them to fruition. Recognizing, and tending to these opportunities is the essence of life. Some few of us humans get recognized as monuments of constructive contribution (whether deserved or not). Still others of us are also well known, but for another reason; because we have left a notorious wave of destruction in our wake. The overwhelming majority of us also get to express significance, either fruitful or notorious, in another way – not as individuals, but by way of participating in something greater than ourselves – by being part of some collective effort that either strengthens our chances to remain coherent and to thrive as a community going forward, or that threatens that hedge against chaos we must maintain so that we do not get swallowed by the antagonists that would destroy the ordered economy of relationships that renders integrity that we all depend on. The significance of what we do in these larger bodies of influence, and the fruit they bear upon maturity, is not necessarily understood by those of us that participate in them as individuals. We may be completely oblivious to the significance and power of our contributions, constructive or destructive, yet we still play our roles. We can be an example of one of these collective efforts that has the capacity to pay constructive dividends, if we passionately search out and cultivate that opportunity over time. We can also be thankful for thousands and millions who have played roles in making our potential future little more fruitful by way of discovering and cultivating these opportunities. Our preparedness, and in some cases, our willingness to bravely face and adapt to the challenges the environment places upon us as a species will determine whether or not it will endure, or sink beneath the threshold required by nature to maintain our integrity over time. Part of nature’s inherent demand is that we we find and cultivate the routines that produce the fruit that nourishes us. Part of facing this challenge is a willingness to face the unknown – to be explorers, and make this effort part of what drives our flexibility to turn the formerly unknown to an advantage, rather than continue to fear and avoid it until it devours us in our ignorance. It is this blend of flexibility and rigidity that we are best prepared to endure the waves of chaos that would otherwise erode our integrity. We owe a committed debt of gratitude to those of us who make the sacrificial effort to illuminate the darkness and make it part of where we can dwell – those willing to search for and cultivate these undiscovered fruits. This ode to the many unsung heroes among us that are the lifeblood of our strength and vitality may not be praised in song often enough, but they nonetheless deserving of our thanks. Thank you to all you who are out there doing things to give back to this community we share and depend on for life. Although we tend to categorize biology in neat little abstract capsules like the names we might give a species, individual organisms, species and so on, do not respect these word based boundaries we give them. When we consider the community of relationships on which any part of a given biological system depends, we see the relationship membrane that defines what an organism needs to remain coherent over time extends beyond any local protein, organelle, or organ with a given species. Indeed the dependency extends beyond the membrane of any single organism or DNA profile to exist in the context of a larger body of life. This larger body echoes the same relational dependencies that exist between cells and organs in a local biological economy such as a species, where mutual nourishment and protection of the coherency of the system is tended to by various means. In other words, a local biological economy depends on an extended family of relationships in order to continue over time, and this extended relational boundary, which operates by this same community principle, is a more accurate means of defining the membrane of a body of life than is any singular species within a local biological economy. Like the roots of a tree extending inward to the soil, the networked lines of relational dependency a given organism requires to remain coherent over time extend both inward to include the mutually nourishing structures within the local membrane or skin of an individual organism, and outward to include a dependency on the larger economy of relationships that exists beyond the skin. Like an individual cell or organ, etc. the relationships that define an extended biological body also support the unified purpose of nourishing and protecting the continuation of the dynamic adaptive system as a whole. While there is some flexibility and redundancy, especially in larger systems, there is also a maximum threshold that, if exceeded, will result in the collapse of the system. The same way the individual cells and organs in our body depend on each other for their mutual survival, this same community principle extends beyond singular organisms and stretches it roots of dependency into the larger body of life. 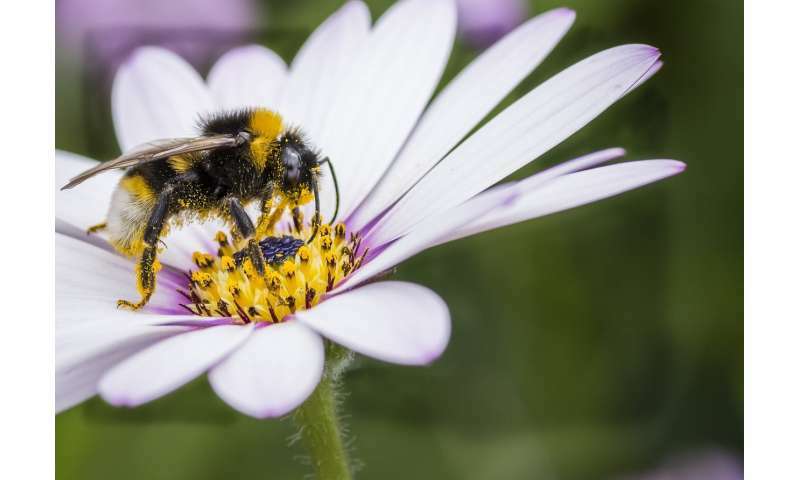 There is no more pronounced, nor vital an illustration of this community principle that that which we see in bees, which depend on flowers, just as flowers depend on them, but this community principle also extends to the organisms that support the continuation of bees in less obvious ways. For instance, as illustrated in this article, certain fungi which operate as a vital organ in the larger body of life on which bees depend. This message of mutual dependency, spoken through the biological economy of which bees and we are dependent, would be a valuable one for us to recognize and apply. It is yet one of the many valuable messages nature speaks through the structure of life.